MARIA BHAVAN– BANGALORE, India - The anticipated gathering, Provincial Assembly 2017 took place in Maria Bhavan, our Scholastic house, in Bangalore dating from 6th to 7th of December. Indeed it created a fraternal atmosphere as all our Indian confreres were present with great passion. The Assembly began with the keynote address by our Provincial Fr. Michael Sahayaraj. The delegates from Rome Fr. Wismick Jean Charles our Vicar General and Fr. Rosario Menezes our General Councilor were part of the Assembly and gave orientations on the acts of the General Chapter 2017 and gave their valuable suggestions for the growth of the entity. 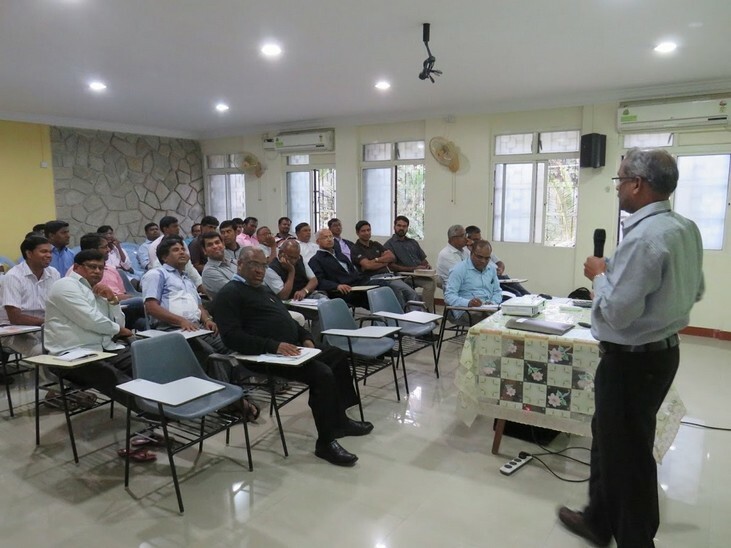 The PowerPoint presentations from all the Formation Houses, Vocation Promotion, Marian Centre, Integrity Committee, Finances and from the Mission Communities and Parishes highlighted the personal experience of each confrere, their activities and the challenges they faced in their respective responsibilities. It was an enriching experience to know and appreciate each other for their commitment towards their mission. Apart from these presentations there were also topics discussed on the project towards Self-Sufficiency, International Collaboration and the Matters of the Province. The assembly was positive about the discussions and all the presentations. The assembly ended with a note of happiness.